Where's The Worst Place In America To Own A Car? With horribly-designed highways and crammed inner cities, much of the country punishes you for needing a car to get around. Where in the U.S. is it worst to own a car? 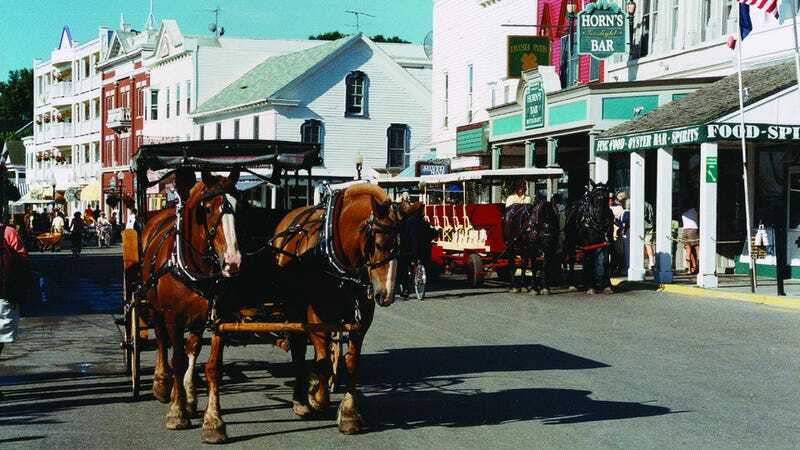 Michigan's Mackinac Island does not even allow privately-owned cars. If one of the 500 residents wants to learn how to drive, he or she has to leave the island. So, if you own a car you can't keep it there and, if you somehow manage to sneak it onto the Island, you can't drive it. Where else it is tortuous to own an automobile?